Leila Abdul-Rauf is a multi-talented musician out of the San Fransisco bay area. She’s contributed to a rather large number of musical projects, including: Hammers of Misfortune, Saros and Vastum to name a few. 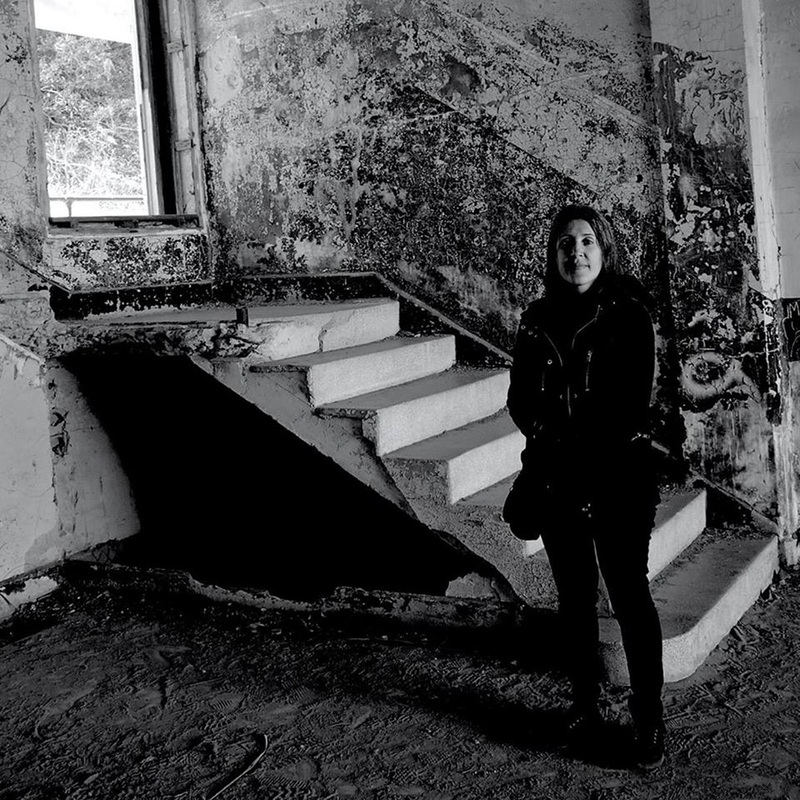 Through these projects she’s delved into a wide range of music from doom and folk metal in Hammers of Misfortune to post-industrial in Ionophore. But, on her solo albums, as Leila Abdul-Rauf, we have heard much calmer and more atmospheric music. 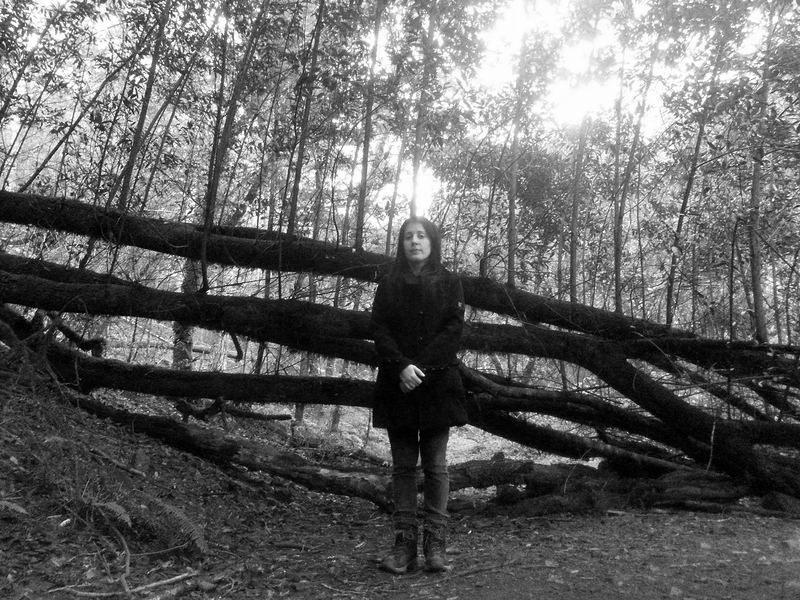 Leila Abdul-Rauf creates her dark ambient(ish) music in a way that delivers a more musical, song-based result than much of what you will see covered here. The trumpet and vocals play a major part in this difference. Her haunting yet beautiful vocals lend themselves to some of those Blue Velvet vibes. It is easy to envision that dark club where Jeffrey (Kyle MacLachlan) first witnesses a performance by Dorothy Vallens (Isabella Rossellini) over an ice-cold Heineken. Of course, the trumpet certainly helps produce this vibe. 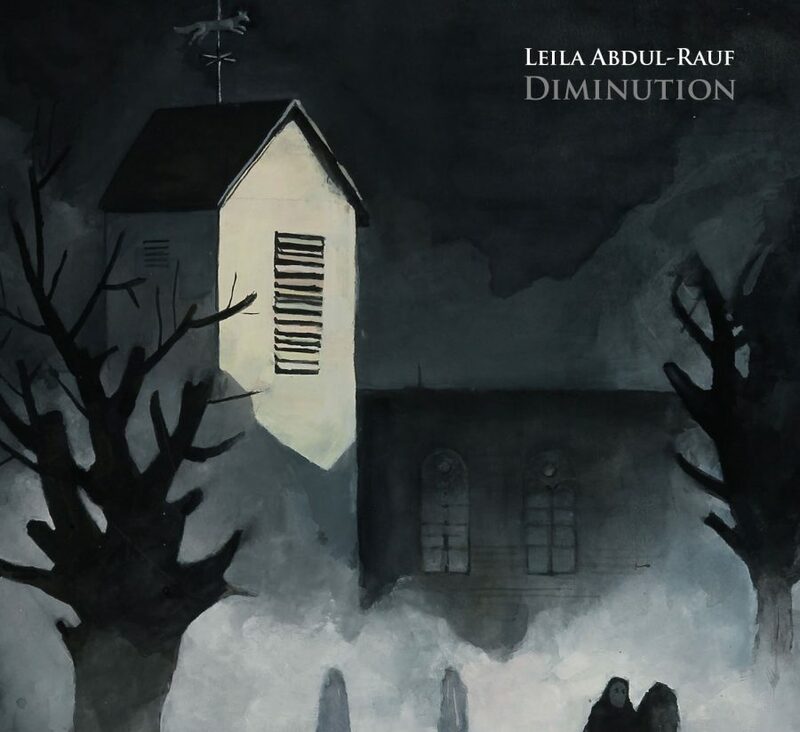 The connection can also be made by the way Leila Abdul-Rauf is creating music that is thoroughly dark, without ever feeling too languid or depressing. This is likely part of the reason the album is being promoted as early morning solitude music; a nod to the interplay between light and dark that flows through the album. Leila Abdul-Rauf does a great job of building these visuals into the sounds. Unlike some releases we cover, Diminution doesn’t appear to follow any set narrative. It’s not supposed to tell us one specific story. Instead, we are given a sort of mood-enhancer. Diminution plays best at those late-night hours, after much of the world has retired for the day, or in those early morning moments, dew still glistening on the leaves, as the sun begins to peak out upon the horizon. This is a sort of midnight music. A sound that isn’t particularly depressing, but is certainly not happy. The track titles and lyrical content of the album, as well as the cover-art, all feed into this mood. 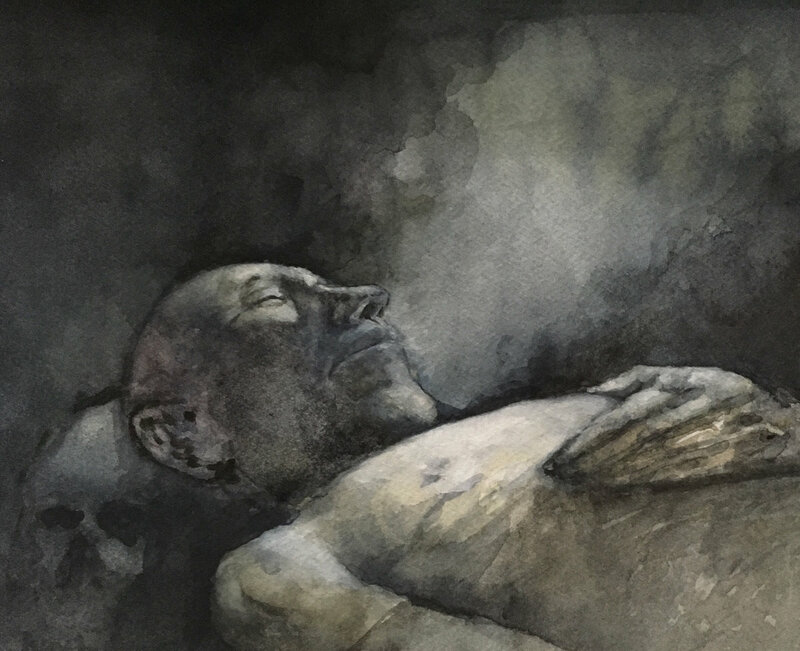 Titles like “Life Leaving”, “Self-Recognition”, and “Hindsight” all lend to a feeling of reflection and contemplation, of the acceptance of loss and death. But, this isn’t a brooding lament, instead it seems to look at these concepts from a more constructive perspective. For instance, the opening track, “Diminution”, uses the combination of trumpet and piano in a way that draws equal parts serene contemplation and sorrowful despair. This formula emerges for me throughout the album, making it something I love using for lazy driving music. Following a dark highway home at night, or cruising aimlessly through some national park, Diminution is able to enhance the vibe, bringing out a well of divergent emotions. “Light Rising” – Paradoxically seems like one of the darkest tracks on the album. The thing that puts it into this context for me is the doom-laden repetitive sound, which gives a sort of black metal or dungeon synth vibe to the track. The track begins and ends with this isolated sound, but throughout “Light Rising” Abdul-Rauf uses her voice and trumpet to give it that lighter contrast. The vocals on this one give me the greatest reminder of something we would hear in Twin Peaks, that dark synth-pop vibe which Lynch has helped to cultivate over the years. Though, of course, here we get a much slower pace and a significantly more atmospheric vibe. For me, this balance between some more active genres, like synth-pop or jazz, with the more subtle sounds of dark ambient and neo-classical comes together perfectly on Diminution. We get the closest we can to the experience surrounding a Lynchian film, with the visual elements melting into the soundscapes to create a dark and cinematic atmosphere where sound can replace visuals altogether. “Self Recognition (for Pauline Oliveros)” is, as one may guess, an ode to the highly influential musician Pauline Oliveros. I have not personally spent a lot of time with Oliveros’ music. But, shortly after her death in 2016, I read a rather thorough article about her impact on the music world. There are obviously a great number of reasons for Leila Abdul-Rauf to find inspiration in the work of Pauline Oliveros. Her presence was felt heavily in Leila Abdul-Rauf’s San Fransisco bay area, particularly through the San Fransisco Tape Music Center, founded in the ’60s. But her work in the, at the time, untrodden frontier of experimental electronic music would be one of her most notable lifetime contributions. “Self-Recognition” provides a thoroughly enjoyable “deep listening” experience which would likely make Oliveros proud. The success of 2015’s Insomnia, her sophomore release, through Malignant Antibody, was due in large part to the musical content. But, there was also no shortage of praise for the cover-art, a painting by Mark Thompson. This time around, Matthew Jaffe contributes some of his beautiful artwork to the project. This painting of buildings in background, fronted by a thick fog which enshrouds trees and what could be either gravestones or shrouded figures, make for a brilliantly atmospheric cover-art. This artwork is given further justice through the vinyl variants; one of which is solid black and the other is gold with black swirl. Leila Abdul-Rauf brings back everything we loved about the highly-praised Insomnia. But, this time around the music seems even further refined. I would recommend Diminution to any fans of dark ambient with more active elements such as vocals and trumpet. This one will not be particularly jarring to the passive-preferring listeners either. With near universal praise again this time, it seems we can be expecting a good many more years of musical output from this highly talented individual. Not to mention all her other musical projects. Highly recommended!